The stereotype says that kids hate broccoli. This is more a result of popular culture (what kids see on TV shows) and the types of foods parents give their children as infants. The more you expose you children to different fruits and vegetables in their natural form, the more likely they are to enjoy them. 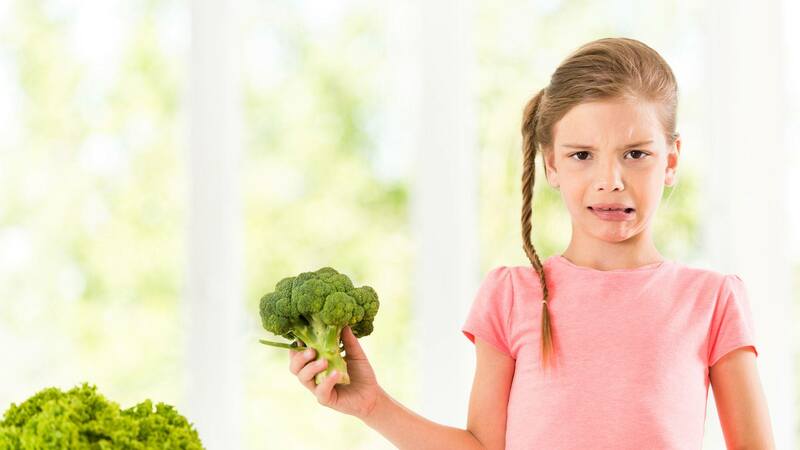 However, assuming your children aren’t fans, you’re probably wondering how to get kids into eating broccoli. We offer a few suggestions that can help ease them into trying the powerhouse vegetable. Over time, these techniques have been shown to convert kids from being haters into lovers. 1. Make a broccoli forest with them. Besides the enjoyment of creating this special food together, it inspires the kids to eat what they’ve made. Just take a piece of floral foam from the craft store or your local florist and cover it twice with plastic wrap. Cut the broccoli into small florets. Insert toothpicks into the bottom of the individual broccoli stems and then insert the broccoli into the foam. Glue broccoli leaves to the sides of the foam to make it look more like a forest. Kids love eating from the broccoli forest and dipping their “trees” into a “swamp” of ranch dressing or hummus. (Be sure to read the ingredient list on the ranch dressing and consider choosing one with the fewest ingredients possible and without trans fats (hydrogenated or partially hydrogenated oils). 2. Hide it in mac-and-cheese. Cut off the furry tops until they make a confetti, then mix them into the sauce. You can also mix it with a small amount of Parmesan cheese, and tell your kids it’s a new crunchy/cheesy topping. Broccoli stalks contain lots of nutrients, they’re easy to shred, or you can buy it pre-shredded in bags at the grocery store. We like using it for coleslaw, mixed into salads, or cooked into pasta sauce or taco meat. There are countless ways to make broccoli a staple in your family’s diet. Serve it as often as possible and enjoy — your imagination is the limit!